Have you discovered a leak at your home? Has a pipe burst in your place of business and you urgently need a team of Weymouth plumbers to fix it? Porter Plumbing is here to help. Our guaranteed 2-hour response time is the best in the county. Call us now on 07732 773 170! On the Lookout for a Team of Plumbers Weymouth Can Rely On? Porter Plumbing are your local specialists for any and all plumbing work. 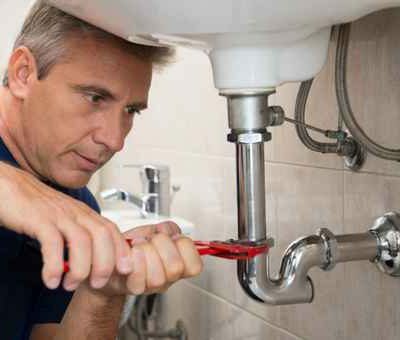 Anyone looking for reliable plumbers in Weymouth will benefit from our skillset, fast response times, and highly competitive prices. Our services are available to domestic and commercial customers alike. You will get the high level of expertise and customer service that you would expect from true industry leaders. Over the years, we have built up a loyal client base and a great reputation for being plumbers Weymouth residents can trust. On top of all of the above, the knowledge of our Weymouth plumbers extends to radiators, pipework, towel rails, sinks, baths and basins. There is nothing that we can’t repair. We are also the only local team who can guarantee a 2-hour response time for those truly urgent requests. Why Choose Porter Plumbing Over Other Plumbers in Weymouth? We have built our successful business through word of mouth. Numerous satisfied customers in Weymouth and the surrounding areas have recommended our company to their friends, colleagues, and family members. We will never consider a job to be completed until you are 100% happy with what our plumbers Weymouth team has done. While based in Weymouth, we work all over Dorset and many of the surrounding areas. Even if you are based further away, give us a call and tell us about your location and requirements. We always go the extra mile for our customers, so we may be able to travel in order to facilitate your request. Each and every team member is a qualified professional with a great dedication to their work. Our hiring process is thorough and we always ensure to only work with the best of the best. When our plumbers in Weymouth are working at your property, they will offer an efficient service and be approachable at all times. The comment quoted above is only of the numerous positive reviews that our Weymouth plumbers have received over the years. You can see many more on our testimonials page. Customer satisfaction is at the heart of everything we do, so this kind of feedback makes us very proud. We are confident that once you benefit from the services offered by our Weymouth plumbers, you won’t hesitate to recommend us. If you would be interested in a free quote or some general advice, then contact us using one of the methods outlined below. No strings attached and no obligation to commit – just an informal chat about your requirements. If you find the price that we offer unsuitable for any reason, you can simply say no. However, we believe that our fees are very competitive and market appropriate. Our Weymouth plumbers look forward to hearing from you soon. Give us a call at your earliest convenience on 07732 773 170, e-mail jamesporter2006@hotmail.co.uk or fill in our online enquiry form.